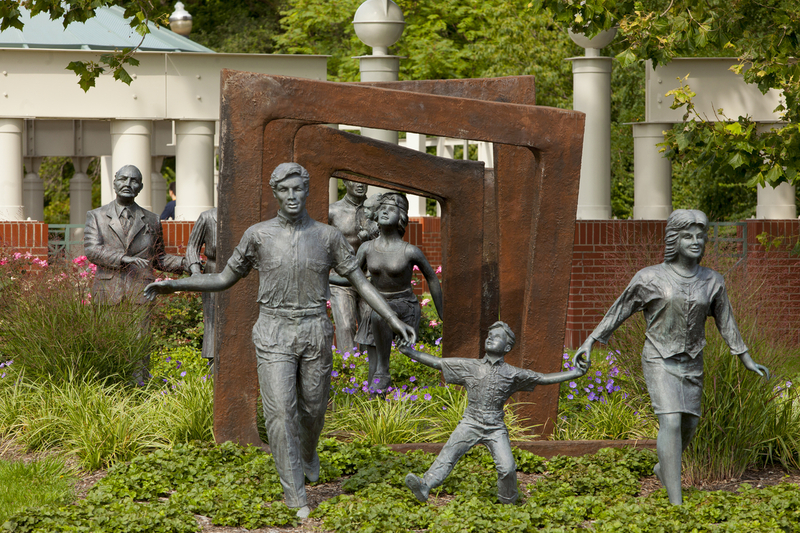 The Bloch Cancer Survivors' Plaza features sculptures of eight life size figures passing through a symbolic maze of doorways toward recovery. The positive mental attitude walk has 14 plaques – four inspirational messages and 10 instructive messages. A bronze sculpture, created by the late Victor Salmones, depicts the success of cancer patients who have overcome the disease. 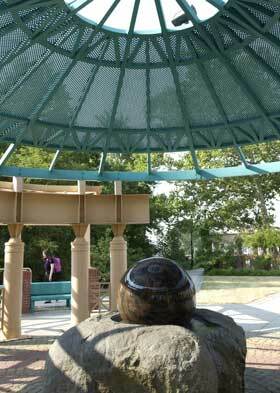 Another component in the plaza is the floating sphere fountain. The smooth granite two-ton, ground and polished sphere, sets atop an eight-ton rough granite boulder receptacle that was brought from Germany. Water shoots up from underneath the sphere, fills the cup with water and by hydrostatic pressure, the sphere floats. The area between the sphere and the socket that holds it is so tight that a credit card won't fit between them. By lightly touching the sphere, you can change its direction – and perhaps your own.